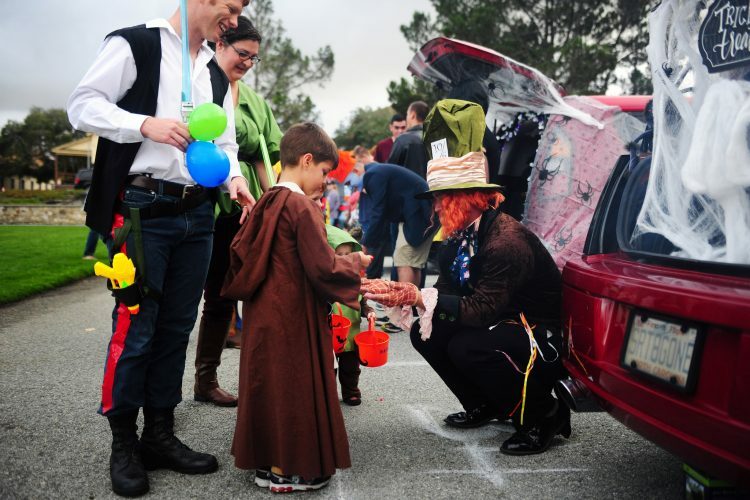 Trunk or treat events have started to gain a lot of popularity. What used to be an event specifically for schools and churches has started to become popular with neighborhoods and play groups. Parents want a safe environment to take their children Trick or Treating, and it is kind of nice to get it all done in one swoop around the parking lot. With these events come a lot of planning, scheduling and such to ensure that your trunk or treat goes well. 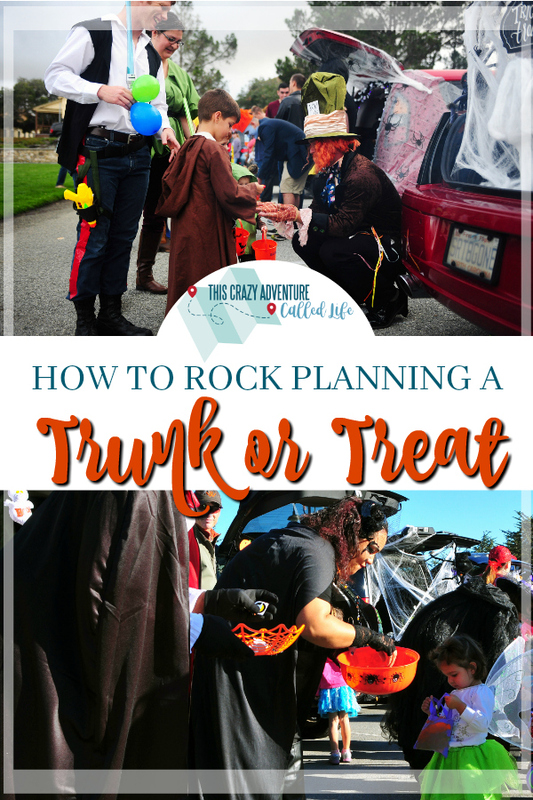 Today I’m going to tell you how to organize a trunk or treat so that you can host a fabulous trunk or treat event. The first step when you organize a trunk or treat is to choose a date. Many people prefer to have their trunk or treat a few days before Halloween. This means October 31st is out of the picture. You won’t want to host a trunk or treat on Halloween night because you’re running the risk of having few people show up. Pick a date that works well for everyone you plan to invite to this trunk or treat. I suggest a Friday or Saturday night as well to hopefully get a better turn out. A trunk or treat event is usually hosted in a parking lot. 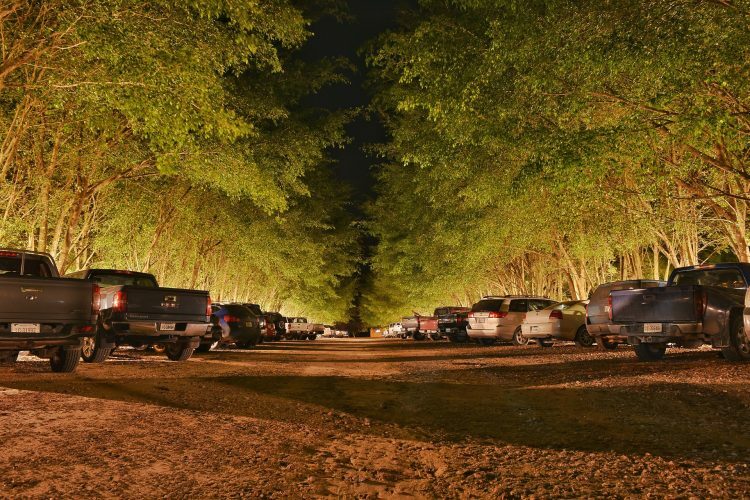 This must be a decent size parking lot or field that vehicles can drive in to have their trunk set up in a Halloween theme. You will have to take into consideration how many guests you’re inviting to be positive that you pick a location large enough to host all of the vehicles. 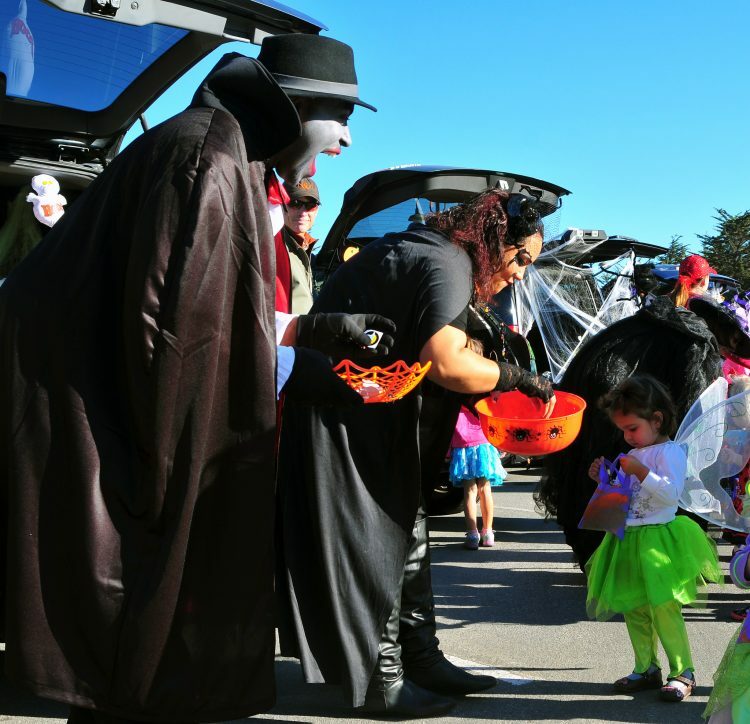 Tip: If possible, when you organize a trunk or treat, have cars back up to a sidewalk or grassy area. One of my pet peeves with our church’s Trunk or Treat is that they just have people park where ever and then you have kids running all over the parking lot, even as people are trying to leave. Instead, I really wish they would start doing what I do with the ones I have organized, and have everone back up to the sidewalk all the way around the church so kids can stay on the sidewalk while Trunk or Treating. Be sure to figure out how long your event needs to last. In my experience, the actual trick or treating part will last about thirty minutes at most (depending on the size of your group). But that doesn’t mean you can just plan for the event to go from 7:00 to 7:30 and call it good. Be sure to give the vehicles an hour to set up their trunk or treat area. This will ensure that every participant has ample time to get their vehicle festive for this occasion. When inviting guests be sure to tell them to arrive one hour earlier for set up. Be sure to have someone there to help guests if they need assistance with their set up. I also suggest having activities for families and kids during this time, so plan on setting up those activities a few hours earlier. Depending on your location, you could do some games, costume contest, or even a chili feed. If possible, try to keep all the Trunk or Treaters away from where guests are setting up their trunks. Then lead everyone to the area together. Perhaps you are hosting a trunk or treat event to raise funds for a charity or simply to have fun but want to charge your guests to offset the costs of renting a location and everything else you’ve invested into the event. When considering costs be aware of the financial strengths or weaknesses of guests, you don’t want costs to keep people away. Another great idea is to have everyone pitch in for the Trunk or Treat. If you include a Chili Feed, maybe have a chili contest and everyone can bring a crock pot of chilito feed the masses. If you are doing a cake walk, have everyone bring a dozen cupcakes, and so on. Be sure to let your guests know far enough in advance about the Trunk or Treat. When you organize a trunk or treat it is best if you can give a minimum of 3 weeks notice. Be sure to let people know any guidelines or restrictions for trunk decorations and costumes. 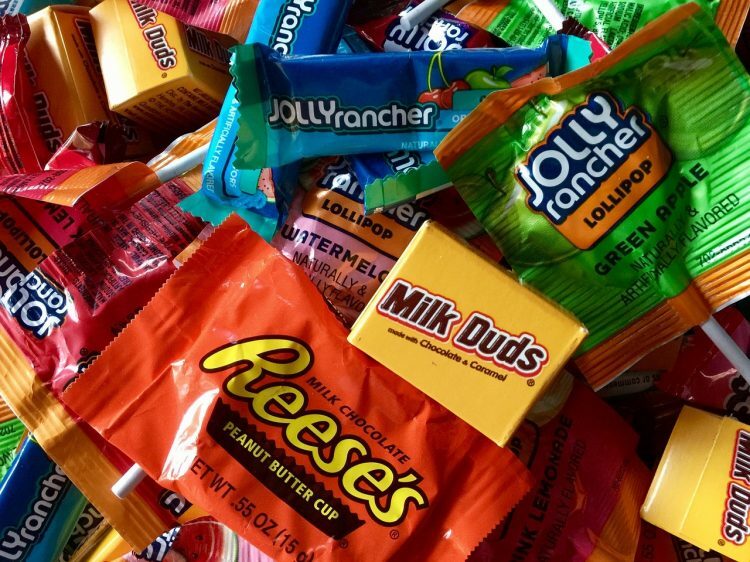 Also take into account if you want candy restrictions or want to encourage non-food goodies. With the digital age, consider creating an event on Facebook. If you are organizing the Trunk or Treat for a Facebook group, you can create the event right in the group. Otherwise you can create an event on Facebook and invite your guests that you want to attend. For an event like a Trunk or Treat, you don’t need to send out thank you notes, but be sure to take a moment before the fun begins and thank everyone for coming and participating. This is also a good time to remind Trick or Treaters to be respectful and only make the rounds once. There you have it a few basic tips on how to organize a trunk or treat. You can add to this list of organizing ideas by having a specific theme to your trunk or treat. You can also set up a raffle for participants to have a chance at winning a raffle prize at the end of the event. There are so many fun ways you can host your next trunk or treat, I know my tips will help you get started on the right foot. 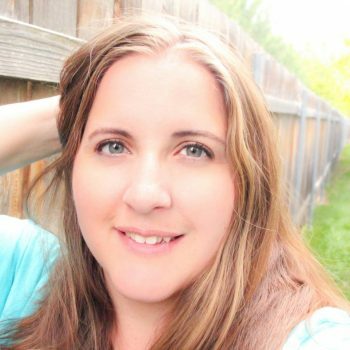 These are some FANTASTIC tips Becca! I especially like the idea of using the sidewalk. I’m going to mention this to our church activity leaders! YES! We did it at one church building years ago, and since then, I have been annoyed at every other Trunk or Treat that is not set up this way. Even if it isn’t against the side walk, have an area where you have cars back up to and rope it off, or have someone guiding where/how to park to keep it safe. It is something people don’t think about, but makes a huge difference. Same with having everyone start at the same time.